Not to be confused with the town of Subic, Zambales, part of which forms the Subic Bay Freeport Zone. Subic Bay Freeport Zone (SBFZ), which is known simply as Subic Bay or Subic is a special economic zone covering portions of Olongapo City and the towns of Subic in Zambales and Morong and Hermosa in Bataan.It is the Philippines' first successful case of a military base converted through volunteerism into a tax and duty-free zone, operated and managed by the Subic Bay Metropolitan Authority or SBMA. It covers the fenced area of the former U.S. 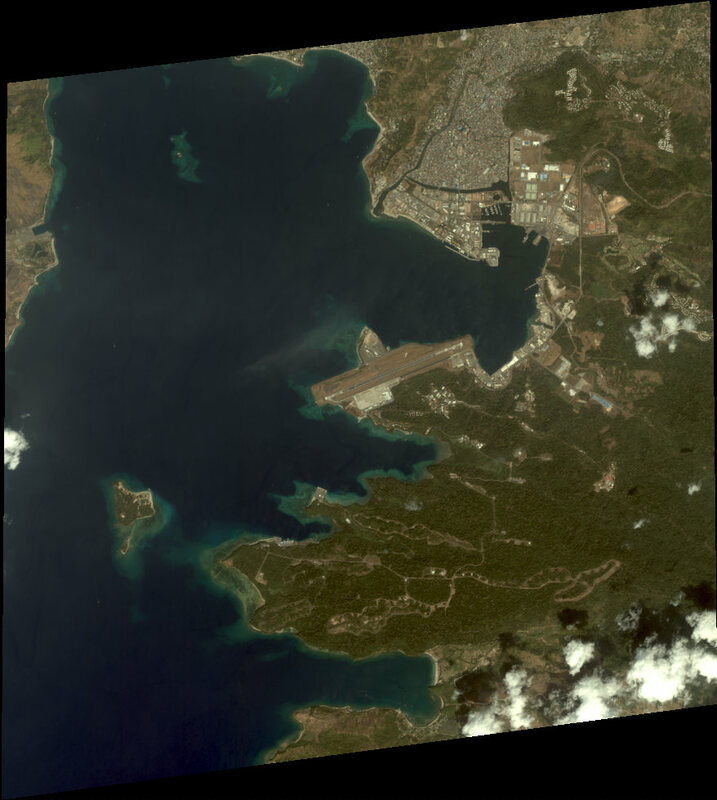 Naval Base Subic Bay located in the southwest of Luzon Island in the Philippines.The harbor faces the Zambales Mountain Range to the west and the Subic Bay opening to the South China Sea. It is northwest of the Bataan Peninsula and southeast of Zambales Province. SBFZ is 110 kilometers west of Manila. Manila Bay and the Bataan Peninsula separate SBFZ from Manila. The mountain ranges around the Subic Bay area and the deep natural harbor provide excellent and protected anchorage. In addition, these features make SBFZ naturally sheltered from typhoons as well as from the effects of an eruption of nearby Mt. Pinatubo. 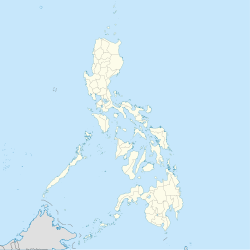 Subic Bay Freeport Zone is in Region III (or Central Luzon Region) of the Philippines. It is one of the points in the growth triangle (and an engine for economic development) in the region. SBFZ is a supplier of services and products for the Central Luzon Development Program, a regional growth area composed of the provinces of Bulacan, Nueva Ecija, Tarlac, Pampanga, Bataan, and Zambales. Subic Bay is surrounded by the town of Subic and Olongapo City, both in the province of Zambales, and Morong in the province of Bataan. Development of Olongapo City was largely tied to the presence of the United States Navy base, once the largest U.S. military naval base in Asia. An arsenal and ship-repair facility was established at Subic Bay in 1885 by the then colonial power, Spain. Following the Spanish–American War, Subic Bay became a U.S. Navy and Marine base, and grew to be a major facility. Until 1991, it was the base of the United States 7th Fleet. In early 1991, after the collapse of protracted negotiations, the Philippine Senate rejected terms for renewal of the lease of the base. The U.S. Navy was already in the process of downsizing its Subic operations in June 1991, when Mount Pinatubo erupted. One of the largest volcanic eruptions in the last 100 years, it covered the Navy Base in volcanic ash and collapsed a significant number of structures. The last ship, USS Belleau Wood, left on November 24, 1992. The presence of the American forces precipitated the start of a red-light district. Subic Bay was converted into a commercial zone largely through the efforts of some 8,000 residents of nearby Olongapo City, under the leadership of their mayor, Richard Gordon, who volunteered to protect and preserve 8 billion dollars worth of facilities and property from looting and destruction. Subic has since been transformed and became a model for bases conversion into commercial use after the Cold War with blue chip companies like Coastal Petroleum, and Fed Ex pumping in over $3 billion of investments creating 70,000 jobs in the free port's first four years. It was host to the 4th APEC Leaders' Summit on November 24, 1996 and FedEx's Asia-Pacific hub, Asia-One, was also located in Subic Bay for almost ten years. In addition to commercial use, Subic Bay is also a popular destination for weekend visitors from Metro Manila. Attractions include several beaches, an underwater aquarium, jungle survival tours, and duty-free shopping centers. Subic International Raceway (SIR), the Philippines' first purpose-built motorsports venue, was opened in 1994 and situated near Subic Bay International Airport. It was established by local racing champion, Pocholo Ramirez, and his family. SIR was host to international racing events, such as the Asian Festival of Speed, Asian Formula 2000 and the Asian Formula Three Championship. It also hosted local races, such as the Philippine Touring Car Championship, Run What You Brung (RWYB) and Circuit Showdown. The racetrack ceased operations in 2010 after the end of its lease. In 2013 Defense Secretary Voltaire Gazmin said that the Philippines intended to move military forces to the base in response to the territorial disputes in the South China Sea. The United States Navy is also seeking access on a rotational basis for ships and Marines, and is already conducting maritime patrol aircraft patrols from bases in the Philippines. Subic Bay, the Philippines' first free port (see, Port of Subic), continues to be one of the country's major economic engines with more than 700 investment projects, including the 4th largest shipbuilding facility in the world (Hanjin Heavy Industries and Construction). Currently upgrading its port facilities through the Subic Bay Port Development Project and forging ties with the Clark Special Economic Zone in Angeles City to form the Subic-Clark Corridor via the 45-kilometer Subic-Clark-Tarlac Expressway, this historical bastion of western military might is now being positioned to become the most competitive international service and logistics center in Southeast Asia. As a destination, Subic Bay has maintained its allure that once charmed US servicemen and their families. Its community continues to preserve and protect the bay, its surrounding forests and its flora and fauna. Interesting sights to see are its resident eco-tourism theme parks, the Ocean Adventure, the country's only open-sea marine park, Zoobic Safari, and the Pamulaklakin Nature Park which is home to the indigenous Aetas who once trained the U.S. Navy in jungle survival tactics. ^ Marquardt, Alexander; Waterfield, Alex (25 February 2013). "Alleged Underage Prostitution in Philippines; Americans Targeted". ABC News. Retrieved 31 January 2019. ^ "Asia-Pacific Economic Cooperation". www.apec.org. Retrieved 2017-05-05. ^ "FedEx - About FedEx - Press Releases". www.fedex.com. Retrieved 2017-05-05. ^ Cruz, Ed Michael Lee. "Brief History". Official Website of the Subic Bay Metropolitan Authority. Retrieved 2017-05-05. ^ "Improved Subic International Raceway bows this April"
^ "The Last Lap of Subic Raceway"
^ "Manila to move air force, navy near disputed sea ." ^ "Navy wants to expand Philippine presence, create temporary base." ^ "It’s Boom Time for Naval Spy Planes"
^ "About Us – Ocean Adventure". www.oceanadventure.ph. Retrieved 2017-05-05. ^ "Fast Facts About Zoobic Safari | Zoobic". zoobic.com.ph. Retrieved 2017-05-05. ^ "Pamulaklakin Forest Trail (Subic Bay Freeport Zone, Philippines): Top Tips Before You Go - TripAdvisor". www.tripadvisor.com.ph. Retrieved 2017-05-05. ^ Waddington, Ray. "Indigenous Peoples of the World — The Aeta". www.peoplesoftheworld.org. Retrieved 2017-05-05. This page was last edited on 10 February 2019, at 08:59 (UTC).